Ecology and nature vector graphics set with different plants and animals. Silhouette images of deciduous and evergreen trees, a curved tree leaf, strawberry with large leaves and butterfly with spread wings. 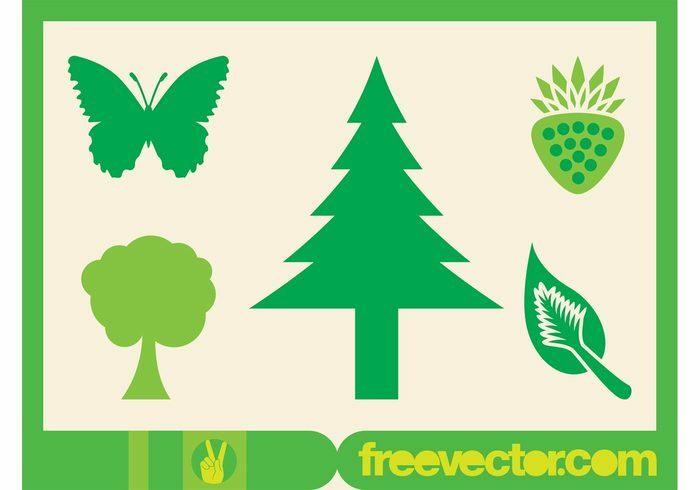 Free vector icons for nature, ecology, wilderness and botanic visuals.